Please feel free to browse our reviews from around the internet or review your service experience below. Very good experience and Mills was very helpful. They actually listened to my concerns. They are courteous, professional and I’m very satisfied with the services and promptness. They really worked with me and even loaned an air conditioner until the new unit was installed. Best thing about Mills Heating & Air – Professionalism, customer service and completion of the work. This is one of the BEST companies I’ve ever had the honor of dealing with! Thank you so much for sending some of the kindess people to work on our house. They feel like family and treated us likewise! Rapid response to need to replace system” (June 28, 2018), “Customer For Life! Joe came and gave me a quote on the mini splits. He was pleasant, efficient and prompt. Great company! Installers were very nice and courteous! Installers were friendly and knowledgeable – The complete experience of dealing with Mills has been easy and professional. Excellent service. 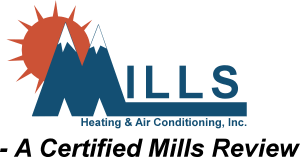 Always satisfied with Mills for being very professional and knowledgeable on the Heating & Air Conditioning equipment. Very pleasant to work with and they did an excellent job. Highly recommend! Many thanks for the prompt, capable and friendly service you continuously provide. Very friendly and did a good job- would recommend them to my family and friends. Always satisfied with Mills, knowledgeable and courteous personnel. Thank you for taking care of us so quickly. It was very cold weather and we had not heat. We are always trying to improve our customer’s service experience. Please use the form below to leave a direct review with the Mills Heating & Cooling staff. If you were not satisfied with your service, please let us know how we could have improved your experience with Mills and we will try to reach out ASAP if there is anything we can do to help make things right. Please check the box next to "I'm not a robot" in the box below before pressing send.